The Folsom Chevy win against GM’s termination and just how is Blue Sky determined? Women who purchased a vehicle from a saleswoman reported going to an average of 1.75 dealerships before the purchase while women who purchased from a salesman reported going to 2.25 dealerships before buying. That’s one finding in a recent report from JoinWomenDrivers.com. Other findings: Women sales consultants received overall higher ratings from women customers and women felt the women sales consultants better understood their needs and provided a more valuable sales experience. Satisfaction with a sales consultant translated into higher overall satisfaction with the dealership, even if a female shopper only worked with one woman at the dealership. Most dealers already know that having more women in sales and service makes a dealership a more pleasant place for a woman to buy a vehicle or have her vehicle serviced. The most obvious solution is to hire more women. Another solution, the JoinWomenDrivers.com report suggests, is to train male sales consultants in those traits that women shoppers mentioned as most valuable in the female sales consultants. “A dealership can arm their male salesforce to focus on trustworthiness and respect but overcoming preconceived notions may only be quelled by a more diverse sales team.,” the report concluded. 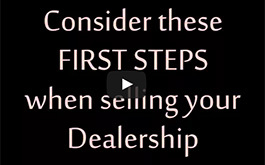 I think most dealers would like to hire more women at all levels and in all departments of their business. One way to learn more about how to accomplish this is to attend the Women in Automotive conference here in Los Angeles on November 26, just before the LA Auto Show. If you will be in town, let me know. I love to meet my readers! On to this week’s issue. I’m sure many of you read of the recent ruling by the New Motor Vehicle Board of the State of California regarding General Motors decision to terminate Folsom Chevrolet’s franchise agreement. As one of our contributors, law firm Scali Rasmussen, represented Folsom Chevy in its win, I asked the firm to write a column telling a bit more about the ruling and its significance. Read it in this week’s issue. 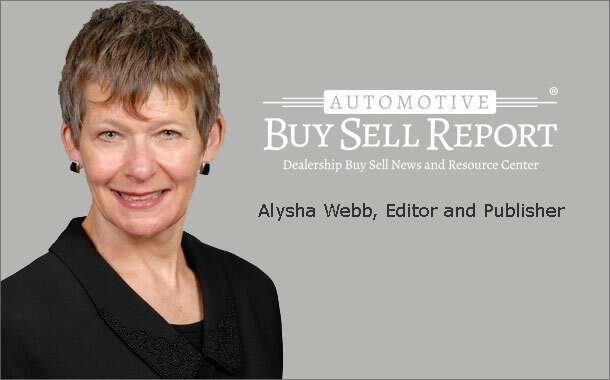 A new contributor appears in this week in Automotive Buy Sell Report. Eide Bailly, a CPA and business advisor firm, this week gives you detailed information on how to arrive at an approximate Blue Sky value for your dealership. As always, as the column cautions, many variables can influence this value.